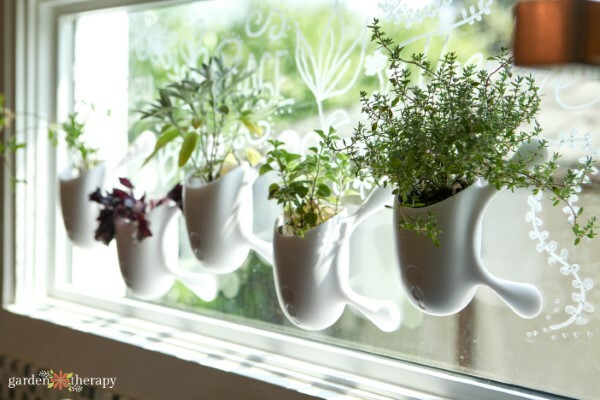 Start the journey of growing herbs right on your window with the Garden Therapy Window Herb Garden Kit! 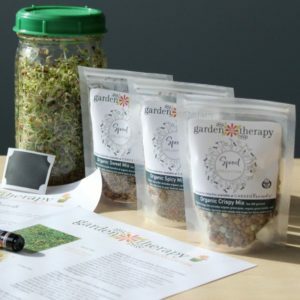 The Garden Therapy Window Herb Garden Kit comes with 50 seeds each of three perennial herbs (Green Sage, Oregano, and Winter Thyme) and three annual herbs (Purple Ruffles Basil, Italian Dark Green Parsley, and Thai Basil) so you have plenty of variety to grow for your recipes. The perennial herbs are wonderful to start as seeds in the winter so you have fresh flavors at your fingertips no matter what time of year it is. When they grow a bit larger, you can transplant them into larger pots or the garden and have these herbs for many more years of delicious recipes. The annual herbs are productive so you can quickly grow very flavorful leaves to cut frequently for meals in the spring and summer months. 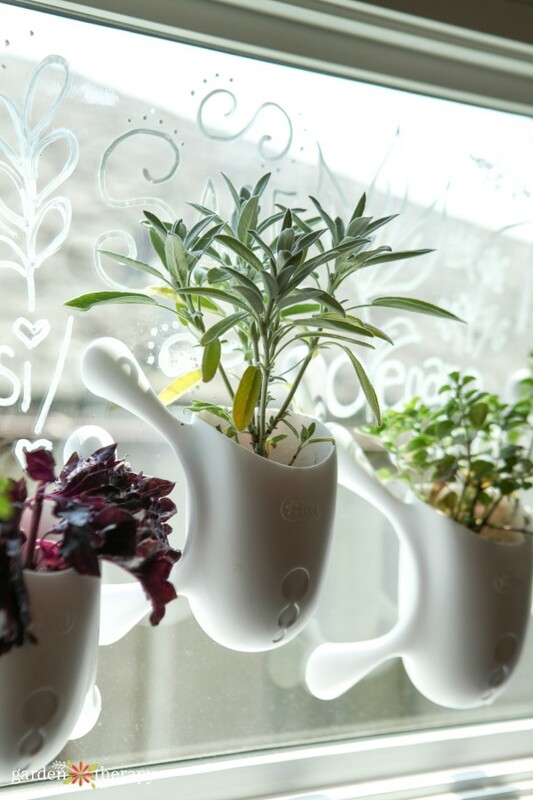 These herbs love the sunshine and so we chose them to thrive on a bright window. 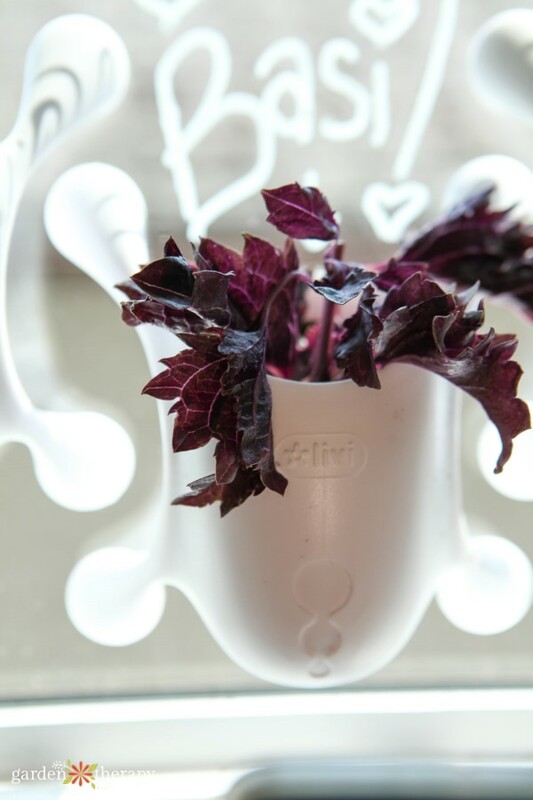 You won’t need to worry about your herb garden getting enough light when they are right at the brightest spot in the house! This is not your average indoor herb garden kit! This kit is perfect for small spaces as you can truly grow them anywhere you have a window. 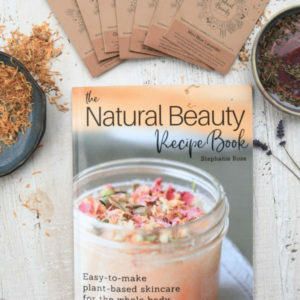 This is a great beginner garden project for those that want to experiment with growing their own culinary herbs at home. 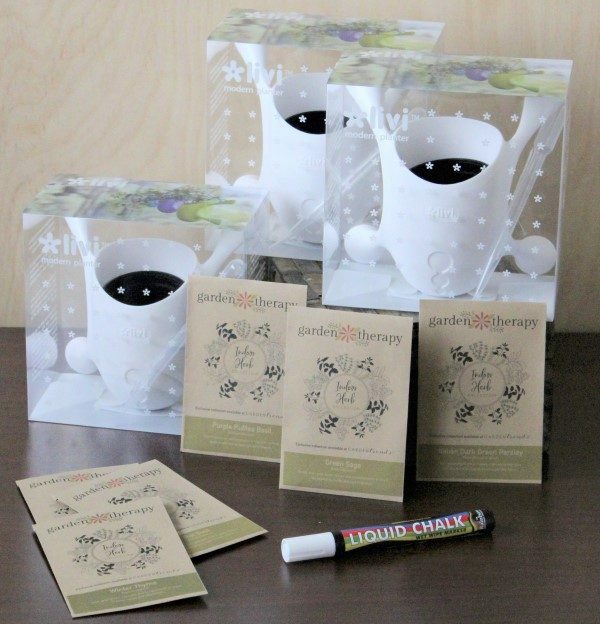 The innovative Livi Pots included have micro suction cups that are both strong yet allow you to easily remove them from the window. You won’t need to worry about them falling off the window, but when you do want to remove them it’s a breeze. The window garden is so easy to install that you’ll have a garden up and running in just minutes. Just remove the protective film from the palms (micro suction pads), and Livis are ready to stick to any flat, smooth surface in your home or office with a gentle push. Each Livi planter comes with a 2 ¼” pot insert for each planter so you can easily add and remove plants. These small pots even have a smart watering feature. Excess water drains into the space below, which acts as a water reservoir for the plant. A pipette is also included, so you can remove excess water. Watering can be the one thing that is a headache with gardens, but the design of the Livis make it easy for you to water efficiently. 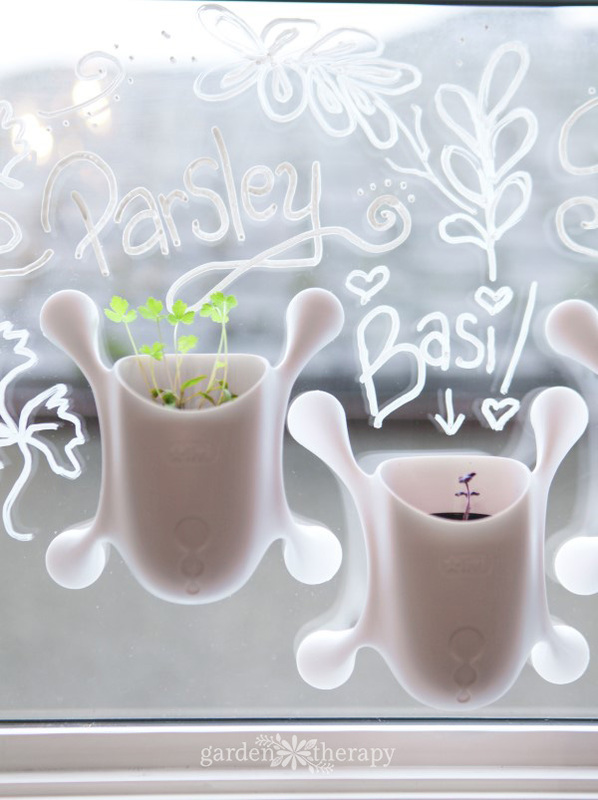 The kit also comes with a liquid chalkboard pen to label your plants directly on your window! SO FUN! Let your imagination and creativity take over while you build your own living plant wall and turn the window into an art piece. Setting up an indoor window garden is a great, family-friendly activity that adds healthy flavors to your meals. 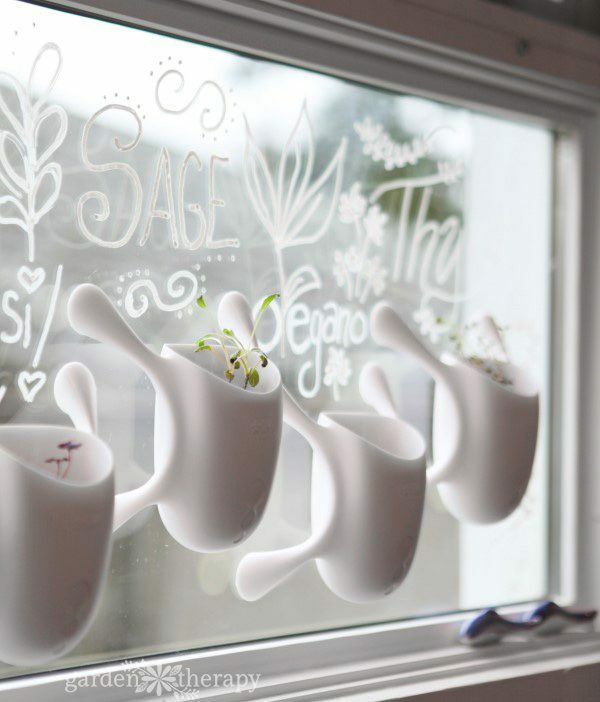 Use the liquid chalkboard pen to label your plants directly on your window! Let your imagination and creativity take over while you build your own living plant wall. 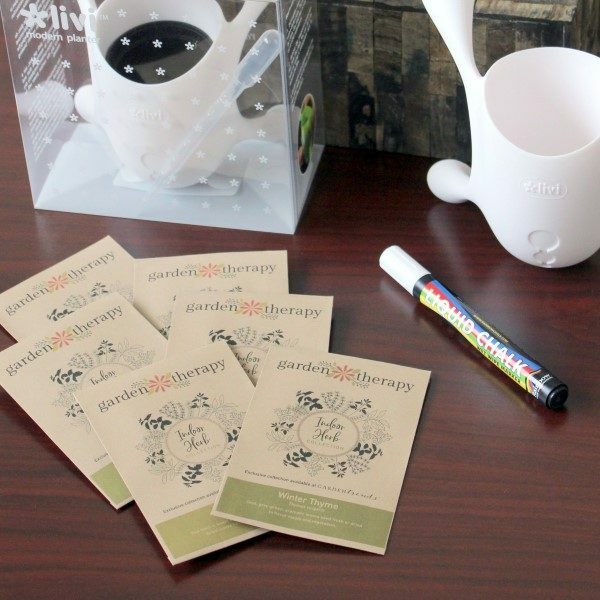 For each of my kits I include a seed-starting and culture guide that shows you how to plant the seeds so you’ll know exactly how to do it in your home. 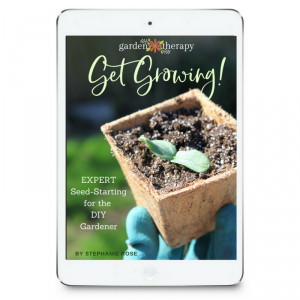 The guide also provides a ton of detail on each seed variety like season, soil temperature, and days to germination so you don’t have to guess how to grow them. 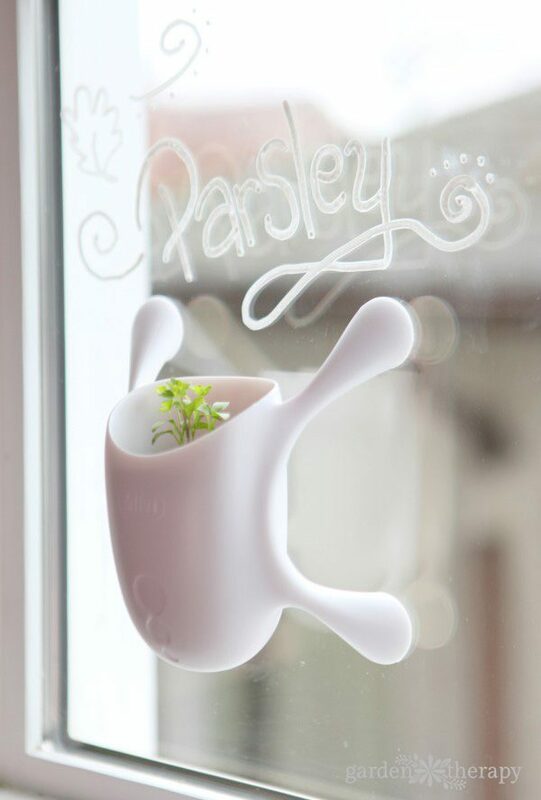 See how it all comes together in the DIY Guide: Say Goodbye to the Winter Blues with a DIY Window Herb Garden. 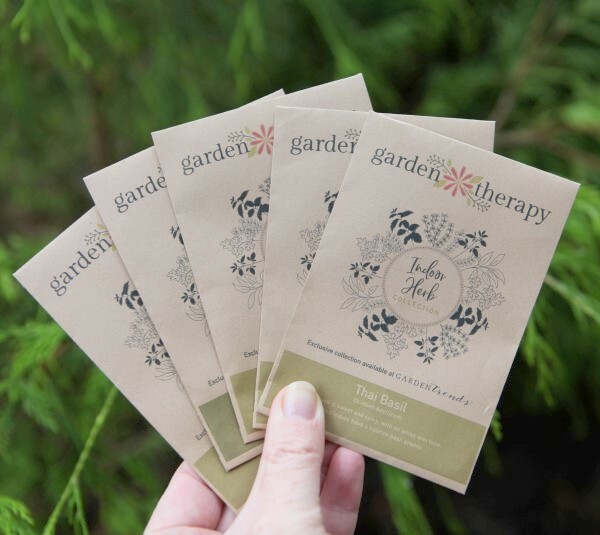 Get your garden started NOW and enjoy all the Garden Therapy it brings! Please Note: this collection has only a limited number remaining.